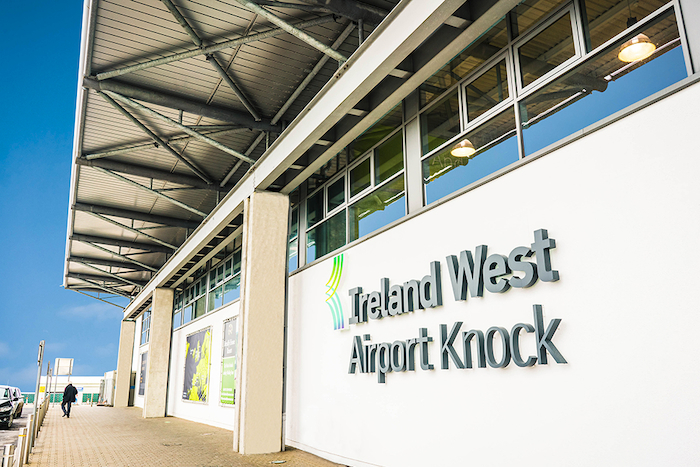 Ireland West Airport this week welcomed the announcement of funding to the amount of €2.3m from the Department of Transport, Tourism and Sport. The funding is provided to support critical Safety and Security Projects under the Regional Airports Programme 2015-2019. The Programme provides for Exchequer support for critical safety and security projects to be carried out at the airport in 2018. The funding is the first phase of a two-year programme of capital projects to be completed at the airport. Arthur French, Chairman, Ireland West Airport said: ‘We welcome today’s announcement of funding by the Minister for Transport, Tourism, and Sport, Shane Ross, TD. which will assist the airport in undertaking important safety and security related projects including phase one of the rehabilitation and complete overlay of the airport’s main runway, upgrading of Hold Baggage Screening equipment and critical air traffic control upgrades as well as enhancements to our Customs investigation/search facilities. "We acknowledge the continued support from Government and we look forward to continuing to work closely with Minister Ross, Minister Michael Ring, regional and local government representatives and our local authority partners and stakeholders in continuing the support for the Airport’s growth and development plans as part of the recently announced 10-year National Development Plan’. Welcoming the announcement Minister Michael Ring said: “There is a continuing commitment by the Government in Project Ireland 2040 to support safety and security related projects at regional airports such as Knock under the Regional Airports Programme. The grant allocations announced today underpin this commitment. “Ireland West Airport Knock is vital for the economy in Mayo and the entire western region. The value of having an international airport in our county cannot be underestimated. It brings tourists directly into Mayo and is a significant incentive for potential investors. The Airport provides us with direct flights to London and host of other European destinations. It is also a major provider of local jobs in east Mayo and a huge driver of the local economy. “Over €15 million has been invested in the airport by Governments of which I have been a part since 2011. I was Minister of State at the Department of Transport, Tourism and Sport for five years during which significant funding was allocated to the airport. This has funded major upgrades to Ireland West Airport Knock which is now a modern, high spec facility. Also this week - Ryanair celebrated the launch of their year round service from Ireland West Airport to Knock to Bristol which will operate three times a week. Ryanair’s Eimear Ryan said: “We are delighted to launch our extended Bristol service, which will operate three times weekly, all year round. Ireland West Airport Knock customers and visitors can choose from 12 exciting summer 2018 routes, to and from Italy, Portugal, Spain and the UK, and always on the lowest fares. Donal Healy from Ireland West Airport Knock said: “Ireland West Airport are delighted with the news that our popular Bristol service will operate all year round from this October. Our Bristol service has been operating for eight years now and provides excellent connectivity to and from the beautiful South West Coast of England.